While growing up, my sister and I would often find craft kits under the Christmas tree. We enjoyed them and there's no doubt they helped us to become pretty versatile crafters. A kit can be an introduction to something new and gives a person confidence to explore the craft further, not to mention it's just so convenient to have the right supplies at your fingertips. I remember one of my first quilling purchases was a gift tag kit that taught me lots of techniques. For general crafting, subscription boxes such as For the Makers and Darby Smart can be very fun. I wanted to find paper crafting kits specifically, so searched for some good ones to recommend. Keep in mind I haven't used these kits myself, but I did screen them pretty carefully. 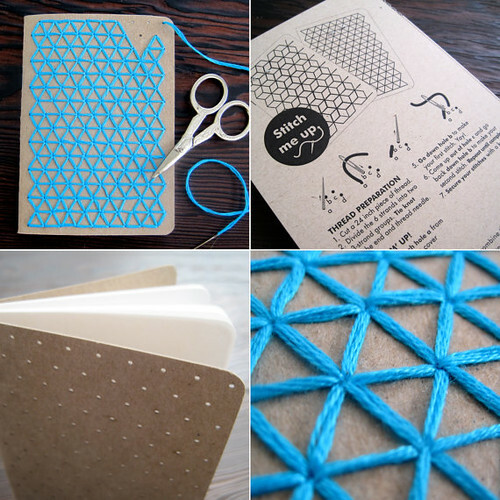 First up... Laura Trimmell of Curious Doodles [edit: site no longer available] in Portland, Oregon is a graphic designer who creates modern embroidery kits that feature simple stitching on laser cut, perforated notebooks and cards. These would be ideal for pre-teens on up, with a useful end result. Reviews state the instructions are clear and that the pocket notebooks make great gifts. Architectural landmarks - skyscrapers, bridges, temples, etc. - from Imants of Paper Landmarks (also on Etsy as Paper Landmarks) in Latvia caught my eye. 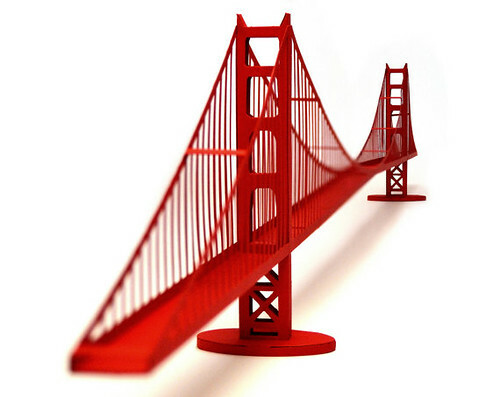 These would be perfect for a budding builder, engineer, or anyone who wants a conversation piece as part of their decor. Precisely cut cardboard parts arrive unassembled in flat packages. Imants also sells fully constructed models. Reviews say the models are surprisingly sturdy and require just ordinary craft glue for assembly. Imants is offering All Things Paper readers a 10% discount on an order from his shop. Use code ATP10 at checkout. 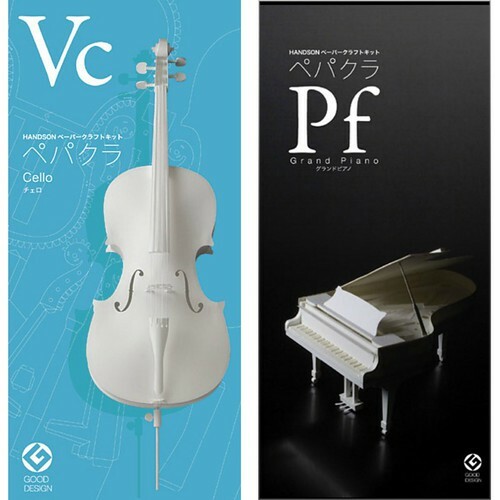 jZool, a Japanese company, sells a variety of HANDSON PePaKuRa paper sculpture musical instrument model kits that have been designed by paper engineers and professional musicians who combine their talents to create the realistic models. 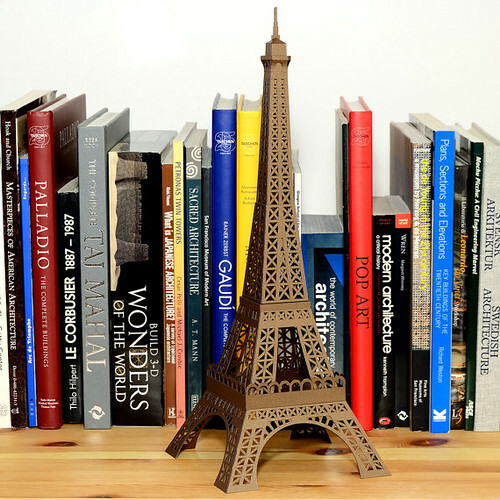 Laser cut pieces go together smoothly with the aid of language-free illustrated instructions. Each model contains quite a few pieces, but the company has made a video that shows how to construct the violin as an example. You'll find written step-by-step instructions on the same page; well worth checking out to see if tackling a relatively complex project is what you have in mind. 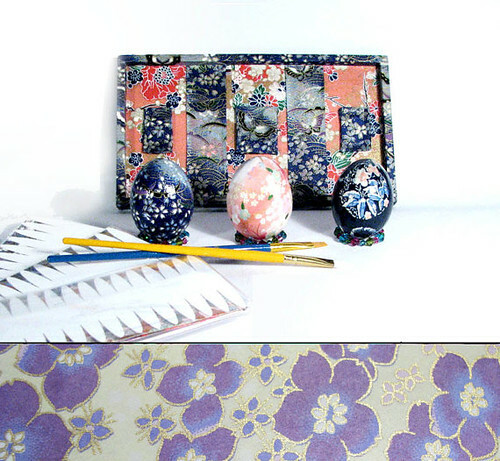 With Easter on the way, this would be a good time to check out Christine McCredie's Etsy shop CMCCreations where she sells kits for covering eggs with patterned washi paper. 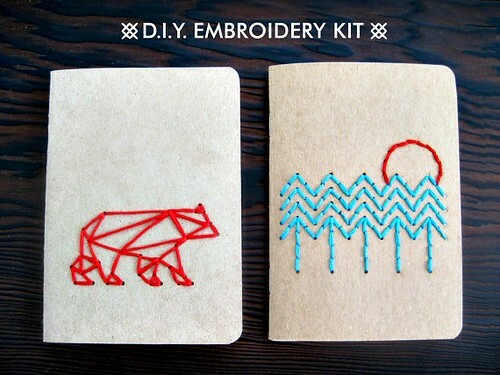 Each kit contains paper, brushes, the all-important cutting template, and instructions. 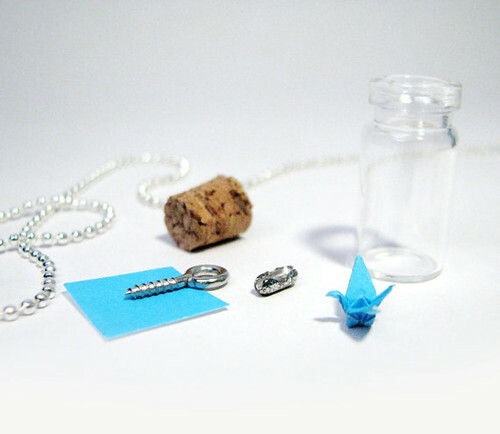 Another idea from Christine's shop is this super-cute vial necklace kit. It contains everything you see here except for the folded crane... that part is up to you, but folding diagrams and video instructions are readily available online. 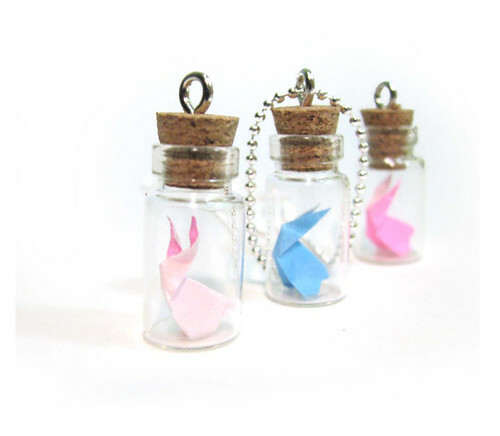 She also sells a completed vial necklace that contains an origami rabbit which would be a sweet addition to a little girl's Easter basket. 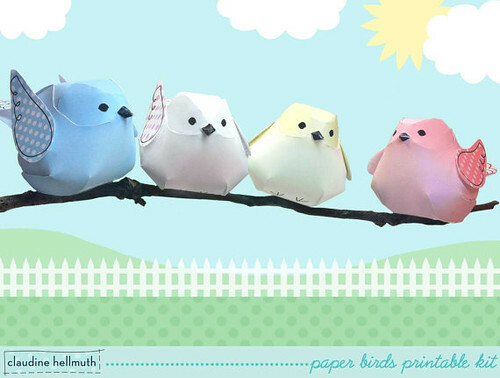 Last of all are Claudine Hellmuth's instant download, printable treat boxes and dimensional paper birds. 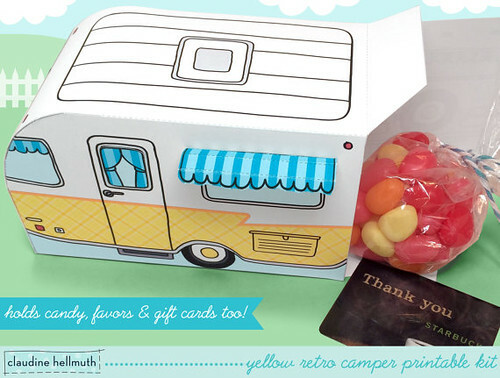 While they're not actual kits, think how perfect this candy-filled camper would be as a party favor or tucked into an Easter basket. Find lots of design choices in her Etsy shop, Claudine Hellmuth, from retro ovens to cupcakes to popsicles. The cute paper sculpture birds come with complete instructions, as well as a link to an excellent how-to video. Claudine is offering All Things Paper readers a 10% discount on your entire order from her shop. Use code PAPERLOVE at checkout. Do you know of any good paper crafting kits? I hope you'll share the link in a comment below. Edited to add: Abby Glassenberg of While She Naps was inspired by this post to do a round up of Softie Kits to Sew, so if you enjoy needle crafts, click on over. Abby's blog is a wealth of information - not only does she share tons of great sewing tips, but she also writes about the business side of the crafts industry and hosts very enjoyable podcasts. I'm a big fan of svgcuts.com! Mary creates the most amazing kits for those with paper cutting machines! They won last years Martha Stewart American Made contest and just this past month were asked to create a 3D leprechaun house for Martha's site. The one for Martha's site could be hand cut and they offered a free version for the paper cutting machine folks on their site. I'm always amazed at how professional they are and how customer service oriented they run their company. thank you so much for including me in your paper round up! A pleasure to have you here, Claudine - you make such clever designs. Hi Ann - this is a really nice roundup - thanks! I'm glad you enjoyed it; thanks Michelle. I love the paper Eiffel tower! The camper caught my eye, too (naturally). Oh my! There are some lovely craft kits here. Thanks for rounding them up. I too love the embroidery kits. I love the paper instruments and the landmarks. Kits does teach a lot and the results encourages one to try new ideas. As always I enjoy seeing what you post on your blog and this subject does resonate with me. I grew up making paper kits. A few years ago I started designing my own kits of tiny paper buildings. They have become very popular as they are fun to make and like many small things enchanting to behold and collect. Step by step directions for them here. Hi Karin, I'm so glad you posted a link to your kits - the tiny buildings look wonderful! http://www.paperobean.com make wonderful paper model kits. My family have done a few different ones and really enjoyed them. Thanks for introducing us to Paperobean, Yvette. The kits look like a very nice challenge.